Our range of products include mirlon total discs. 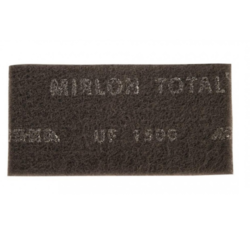 Mirlon Total discs offered provide for dense scratch pattern and quick results. These abrasive discs are suitable for use in wet and dry modes and with flexible structure finish it provides for strong and long-lasting usage. Some of its areas it is used in include metal processing, composites processing, construction & decoration, wood processing, vehicles manufacturing as well as on materials like non-ferrous metal, stainless steel, lacquers, plastics, synthetic materials among others. The disc also has resin bonding and aluminum oxide/silicon carbide grain finish. Looking for Mirlon Total Discs ?